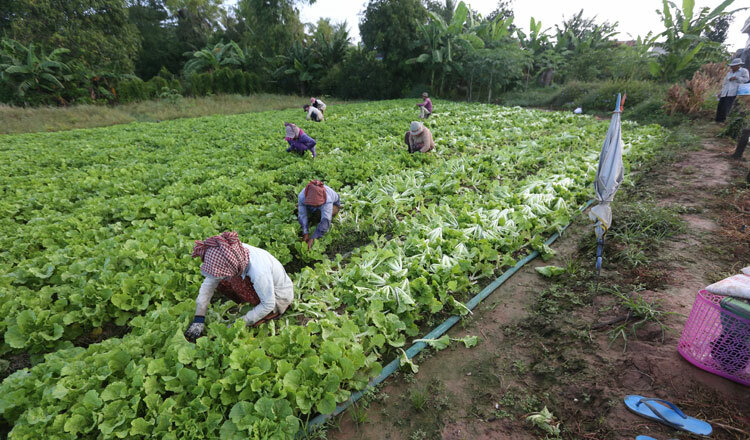 Researchers from the Institute of Technology of Cambodia are appealing to farmers to reduce the use of agrochemicals on crops after it found that some farmers improperly mixed chemicals. The appeal was made by researcher Phat Chanvorleak during a workshop on the impacts of pesticide use on agriculture and environment yesterday in Phnom Penh. Ms Chanvorleak said ITC had conducted a study on Tonle Sap lake’s Chhnok Trou area and found that farmers there used chemical pesticides and herbicides on their crops. She said that the study also found that some of the chemicals flowed into the lake, causing damage to the biodiversity of the body of water. Ms Chanvorleak said agrochemicals used there can cause illnesses to humans and animals, noting that farmers should turn to using natural pesticides instead. 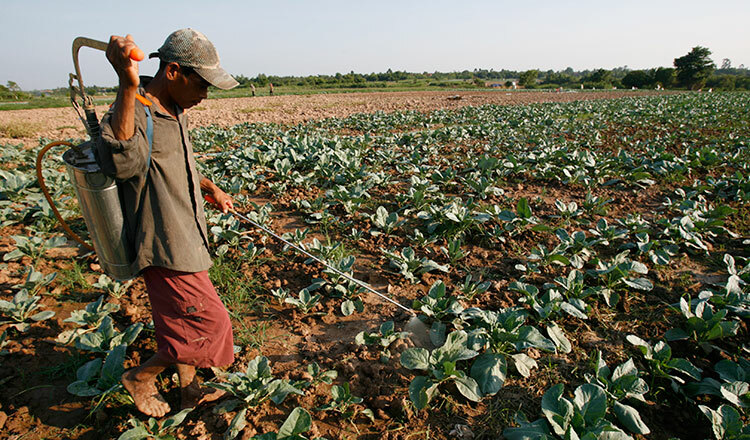 Pok Panha, a researcher and University of Battambang agriculture lecturer, yesterday said despite reports of the dangers of agrochemicals, more farmers are using chemicals. Mr Panha noted that in 2012, $18 million worth of agrochemicals were imported and in 2016, $38 million was imported, noting that these numbers could continue to increase. Mr Panha said he has also noticed that more and more farmers are improperly mixing chemicals without technical knowledge, adding that their products could affect the health of consumers. “Farmers mixed chemicals by themselves without knowing proper technical standards, which could lead to high risks,” he said. Eve Bureau-Point, a researcher from the Research Institute for Development in France, said agrochemicals have been flowing into the Kingdom’s agriculture sector since 1990. Ms Bureau said farmers continue to use agrochemicals despite the enactment of the Law on Management of Pesticides and Fertilisers in 2012. Nhel Pheap, a representative of the Farmer Network in Takeo province, yesterday said farmers use agrochemicals because it is efficient at killing pests. “We know it’s dangerous, but we do not know what approach can be used to make farmers stop using it,” Mr Pheap said, adding that the government should be the first in line to halt the import of agrochemicals from neighbouring countries.